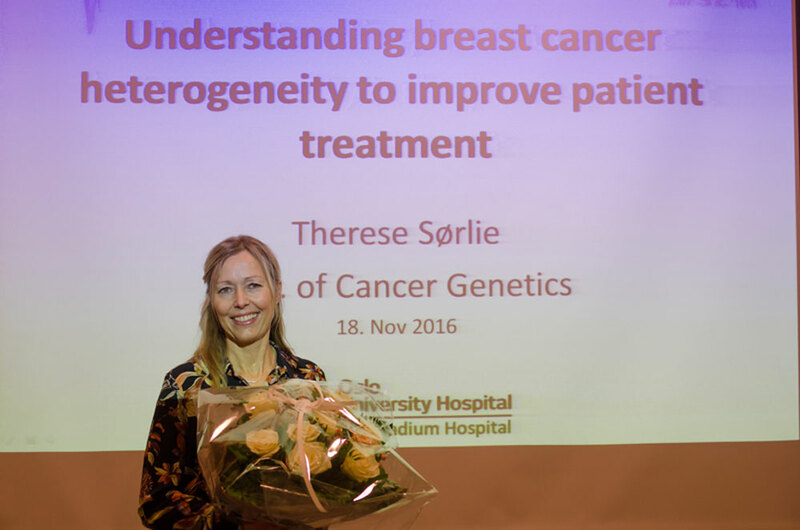 The 2016 "Dr. Ragnar Mørk's legacy prize" went to Therese Sørlie, head of the "Breast tumor initiation and progression group" at the Department of Cancer Genetics. 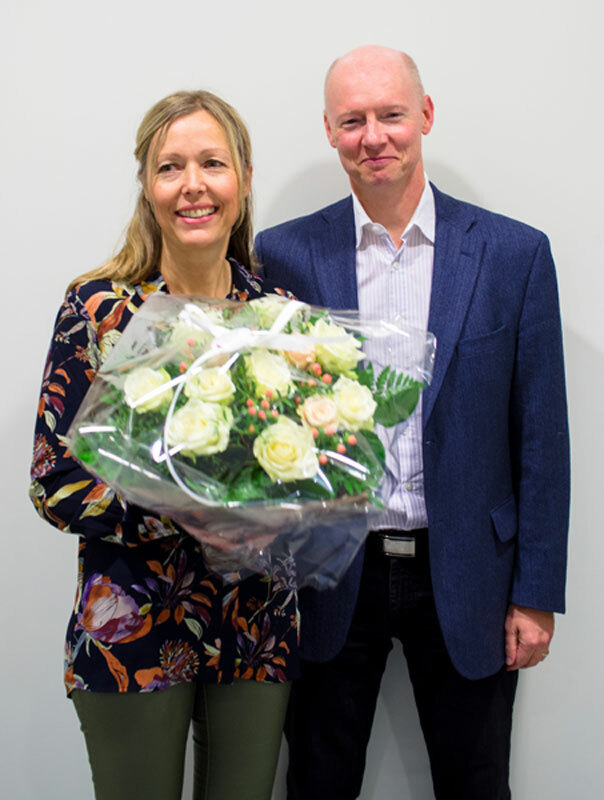 This award of NOK 200.000 is annually given to scientists affiliated to the Norwegian Radium Hospital who have obtained important results within the field of cancer research. The ceremony took place on Friday November 18th in the Research Building at Montebello. Therese Sørlie gave a lecture about the research activities that has earned her the award. 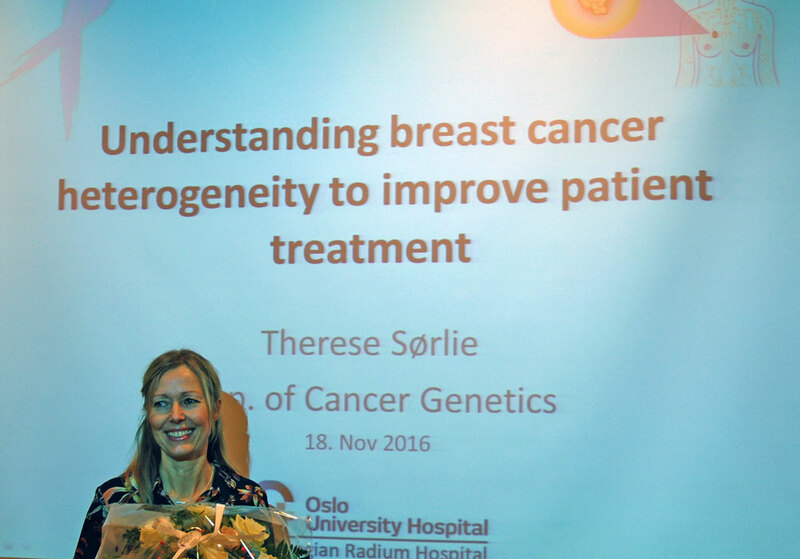 Therese Sørlie receives Dr. Ragnar Mørk's prize for 2016 for her outstanding research on breast cancer. 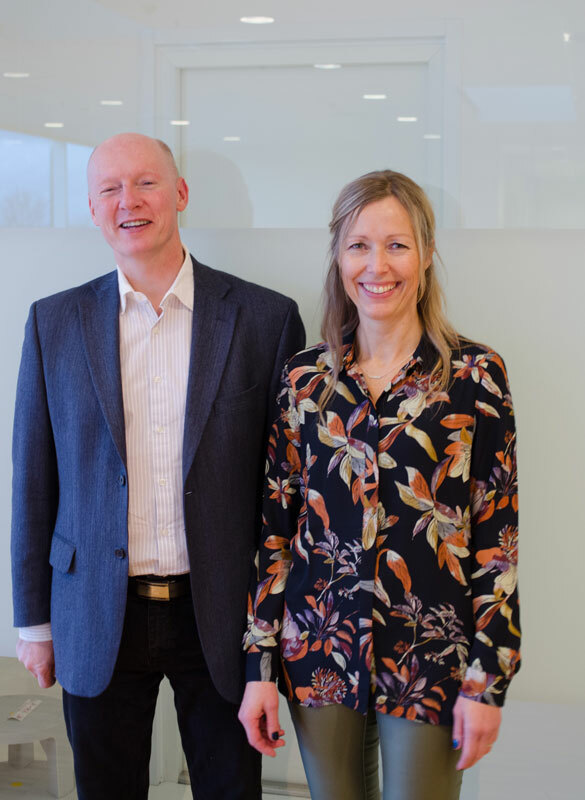 Together with colleagues at Stanford and in Anne-Lise Børresen-Dales group at Institute for Cancer Research, Sørlie has obtained a molecular classification of breast cancers that has been of immense importance for our current understanding of breast cancer. Her recent research on breast cancer progression has opened new avenues for personalised medicine. Therese Sørlie with Harald Stenmark, head of the evaluation committee.